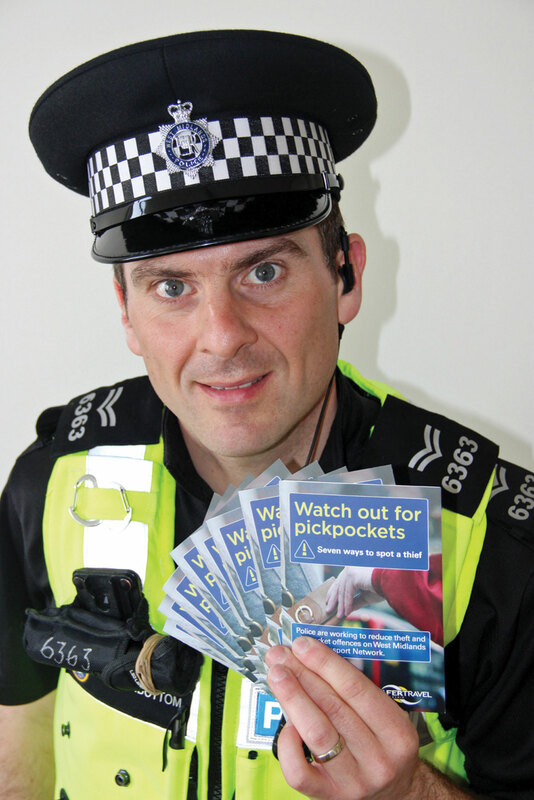 Plain clothes police from the West Midlands Safer Travel team will be targeting pickpockets and their potential victims across the local public transport network this spring. A key target for the officers will be those passengers who leave themselves vulnerable to becoming a victim. After identifying themselves to the passenger, officers will explain why they have been approached and offer crime prevention advice. They will be issuing a leaflet explaining how pickpockets work and what people should do to make it harder for the crooks to operate. They will also be issuing karabiner clips and security bells to fasten to items such as purses which can then either be secured in a person’s bag or make a noise if they are moved. PutPocket is running in tandem with an anti-pickpocket campaign being carried out by West Midlands Police in places like shopping centres and CCTV footage of offenders in action is being released on Youtube, Twitter, Facebook and Vine in a bid to catch them.